When it comes to recruiting, rewarding and retaining top talent, employee benefits play an important role. Medical benefits are of course essential to attracting employees, but you should also consider the importance of helping an employee plan for retirement. As the IRS notes, employees can contribute up to $18,000 per year and up to $24,000 per year if they are 50 or older. This is much higher than the limits on individual retirement accounts (IRAs), another tax-deferred retirement account Americans can set up outside of work. A quality retirement plan can encourage loyalty and productivity in the workplace. It motivates seasoned employees to be productive along the way, because they know there is light at the end of the tunnel. It encourages younger employees to seek opportunities to grow within the company, rather than searching outside. If you are worried about cost, here’s how you can offer affordable retirement options and benefits top candidates expect. Consider designing your retirement plan with incentives for people to stay long-term through a vesting schedule. The schedule applies to money to pay into a retirement plan on an employee’s behalf, for example, matching contributions into a 401(k). In order for the employee to keep your part of the investment, they must work a minimum number of years at your company. If they don’t, some or all of the money must be forfeited, depending on how the schedule is drafted. This means employees who stay with you for the long haul receive more benefits, and those who leave early won’t take a lot of your money with them. To Match, or Not to Match? According to a recent report by the Bureau of Labor Statistics, 45 percent of companies with fewer than 100 employees had 401(k) plans. Therefore, even implementing a non-matching 401(k) makes you a more desirable employer. Then, if you add even a small match, you can really begin to outpace your competition for the type of employee who considers these things important – the type of employee you want working for you! With a PEO, employers can decide whether to match plan contributions, so these plans are very flexible and affordable. In fact, the employer cost of offering retirement benefits through a PEO’s 401(k) can be zero. Employers can easily meet administrative minimums as long as a modest number of employees participate (approximately 8). An employer does receive a tax deduction if he or she chooses to match. There is a savings strategy for business owners that allows you to put away $50,000 or more per year, as long as you’re willing to make contributions on behalf of your employees. A Safe Harbor 401(k) includes a provision where low employee participation doesn’t keep the business owner from achieving the maximum pre-tax payroll deferral limit. This makes it the ideal choice for employers with a small or medium size number of employees. When you adopt the PEO’s 401(k) plan, you don’t have the worry regarding fiduciary responsibility, investment committees, performing ADP/ACP/top heavy testing, plan audits, maintaining plan documents, and Form 5500 filing. This makes PEO-sponsored 401(k) plans very attractive for business owners in terms of administrative time and costs. 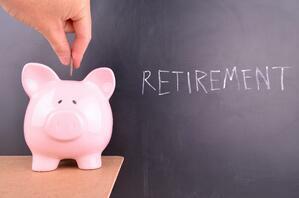 Retirement planning is an essential element of being a great employer. It allows you to attract, retain and foster financial security for your employees while bettering your workforce. Looking for more expert PEO insight on how to choose the best candidate for the job? Check out our free resource, The Employer’s Handbook for Avoiding Hiring Mistakes. David Peasall joined FrankCrum in 2010. Since that time, he has served as the Vice President, Benefits and Human Resources overseeing human resources, employee benefits, and group health sales. Serving in the Army, he began his 20+ year career in human resources and benefits administration and has held several management positions within the corporate and public human resources environments overseeing employee benefits sales and administration, recruitment, compensation, employee relations, organizational development, and compliance. 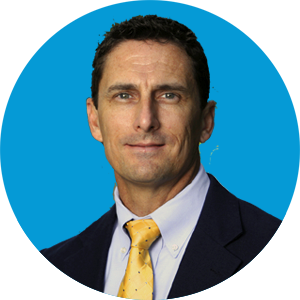 He has the nationally recognized designation of Senior Professional in Human Resources (SPHR), PPACA certification from NAHU, and a Bachelor’s degree from Barry University with a dual major in Human Resources Management and Health Services Administration. He has written for the Society for Human Resources Management, HR Insight, Proyecto Magazine, and for online publications in the restaurant and health care industries. While not at work, this Florida native loves spending time with his family, preferably boating, fishing, and diving the beautiful waters of Florida.